I’m excited to post our second post in the “Three Nonprofits” series. Each week we feature a Pittsburgher and three of the nonprofit organizations that they think are important. Have three favorite nonprofit organizations that you would like to share? Click here to submit your list. I’m exited to share this weeks post- Sue is an incredible force in Pittsburgh both online and off. She has been blogging longer than I have! Make sure to check out her blog – Pittsburgh Lesbian Correspondents. Sue’s favorite thing about Pittsburgh is… This is my hometown. Since 1981, the GLCC has been supporting the LGBT community and it continues to flourish as an all-volunteer organization. I met my partner Laura at the GLCC along with many of my dear friends. What resonates with me is the fact that almost every young adult involved as a volunteer was part of the GLCC’s youth programs at some point – almost to a person. That’s a powerful statement about the impact a Community Center has on a community. NSCM is an example of faith in action in a way that’s respectful & authentic. They are the largest food pantry in Western Pennsylvania – serving over 1,000 families. 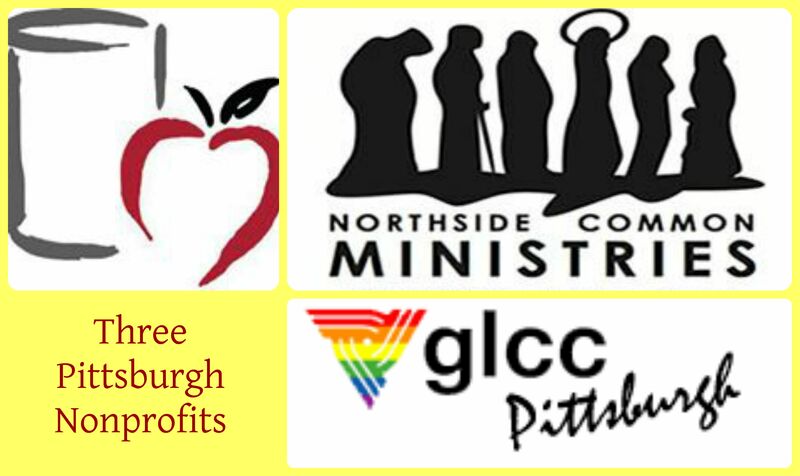 The Gay and Lesbian Community Center (GLCC) is all-volunteer. The most pressing need is for volunteers to staff the front desk to keep the doors open and the phoneline answered. This does require an orientation and training. The second “best” way to get involved is to participate in an activity – attend the women’s social group, bring a dish to the monthly potluck, play OUTrageous Bingo, try our belly dancing classes or pick what strikes your fancy.